Physically and health-challenged individuals will sometimes find it hard to get to their medical appointments on their own. Their predicament would not only make the situation difficult, it would also be inviting danger. It’s not all the time that people can rely on a friend or relative to drive them to their doctor’s (and even then, especially in the case of a patient with critical health, this would not be an advisable option). In situations like these, you would require reputable non-emergency transportation companies to back you up. AMERICA WEST MEDICAL TRANSPORT, for instance, is a provider of non-emergency medical transportation in Sacramento, CA, offering a complete range of transportation solutions to those afflicted with the complications of age and disabilities. If you have yet to have an idea on how to hire a non-emergency medical transport agency, don’t hesitate to review the section below. It would best to start by doing your homework. And really, it’s not that hard when you have the internet to rely on. Simply open a few company websites, compare their prices, services, rides, and locations and narrow them down to which one you think is the most ideal for you or your loved one. You should be able to arrive at a decision in no time! Firsthand feedback is the best. If you have any friends or family members who are currently using or have used non-emergency medical transport services in the past, then you may want to ask them for suggestions. The best thing about asking those who are closest to you is that they are well aware of your standards and wouldn’t dream of recommending you a company that falls short of those standards. This way, all your options are almost guaranteed to be excellent. 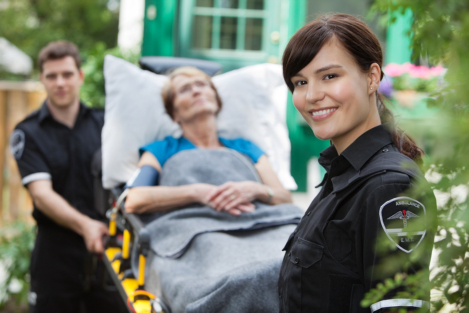 It’s highly likely that your doctors, therapists, nurses, and caregivers will be able to provide essential information that leads you to the ideal non-emergency medical transportation company. They may have colleagues working in these agencies or patients who are currently using non-emergency medical transport services. There is no harm at all in asking these professionals for references, especially when you consider the fact that following their suggestions might significantly improve your quality of life. Not all non-emergency medical transport companies are the same, which is why you need to have criteria on which to base your decisions if you want the best. There are companies, for instance, that offer wheelchair transportation as part of their services and others that don’t. Apart from the solutions offered by the agency, you’ll also need to factor in the price, location, staff experience and expertise, and so many of the other things you uncover from doing your homework. AMERICA WEST MEDICAL TRANSPORT also happens to be a renowned provider of wheelchair transportation in San Jose, CA, among other locations like Sacramento, Elk Grove, Santa Clara, Roseville, Vacaville, Fairfield, Vallejo, San Francisco, Roseville, Hayward, Union City, and Fremont. If you live in these areas, we hope that your search for the ideal company will lead you directly to us. This entry was posted in Non-Emergency Medical Transportation and tagged Tips, Transportation, Wheelchair Transportation. Bookmark the permalink.